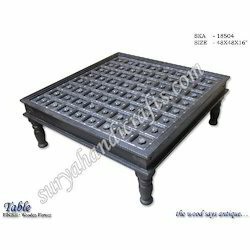 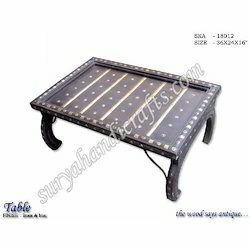 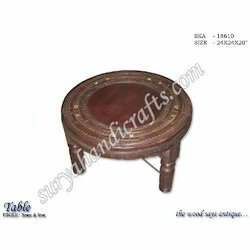 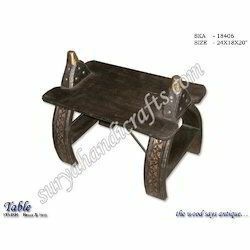 Our range of products include Wooden Table such as Wooden Table With Wheel, Wooden Table Iron Flower, Wooden Table Brass Iron, Wooden Table With Brass And Iron Work, Wooden Table With Brass Emboss Work, Wooden Table With Brass Tikla and many more items. 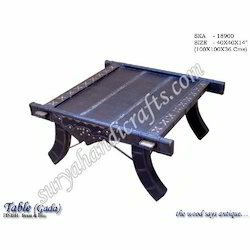 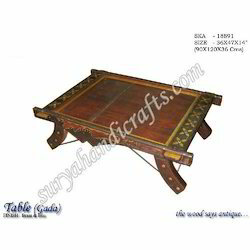 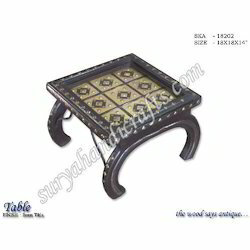 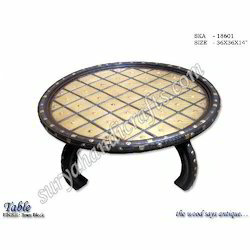 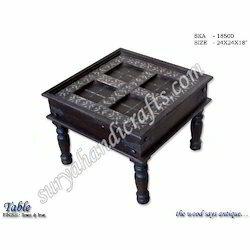 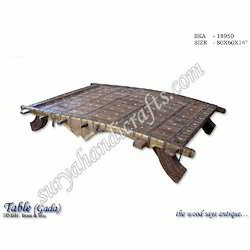 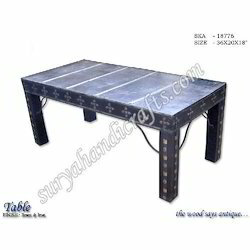 Our organization is widely reputed for manufacturing and exporting Wooden Table With Wheel. 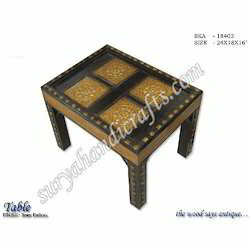 Our well experienced team has the ability to carve the wood to achieve attractive patterns. 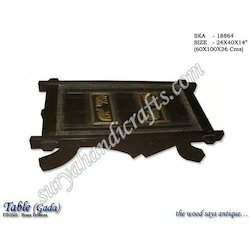 The required materials like wood, brass are sourced from the reliable and trusted vendors. 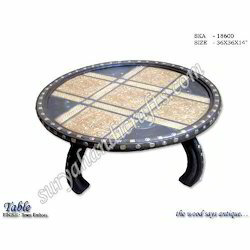 It is widely used at homes, restaurants, hotels etc. 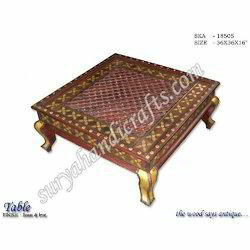 These are available in various sizes and shapes as per the client requirement. 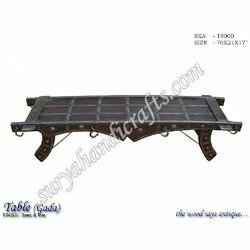 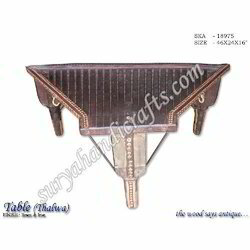 Our organization is highly known for manufacturing and exporting Wooden Table Iron Flower. 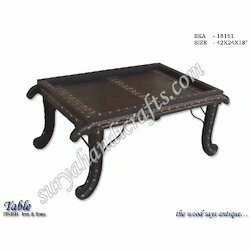 Our well experienced team has the ability to carve the wood to achieve attractive patterns. 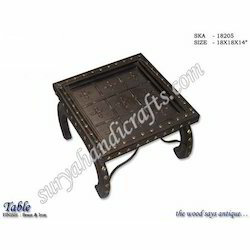 The required materials like wood, brass are sourced from the reliable and trusted vendors. 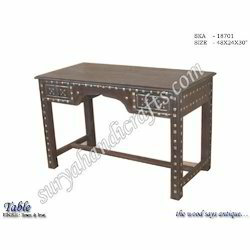 It is widely used at homes, restaurants, hotels etc. 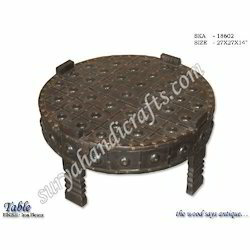 These are available in various sizes and shapes as per the client requirement. 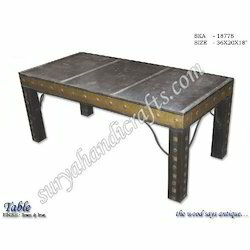 Having won many laurels in this field, we now manufacture and export Wooden Table Brass Iron. 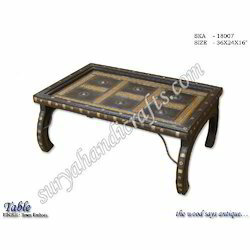 We have an experienced team who use antique wood to prepare numerous attractive patterns. 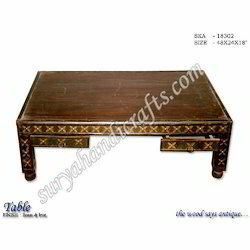 The required materials like wood, brass are sourced from the reliable and trusted vendors. 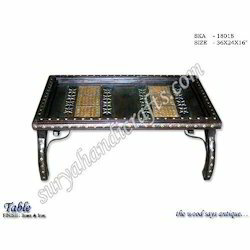 It is widely used in homes, restaurants, hotels and many other important places. 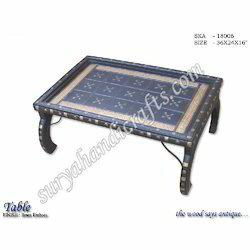 The client can avail this at a reasonable price in the market. 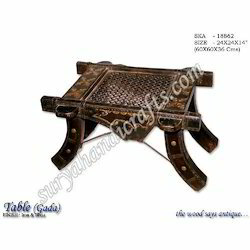 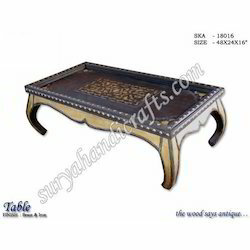 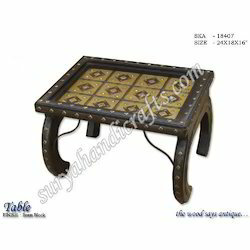 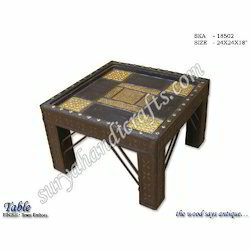 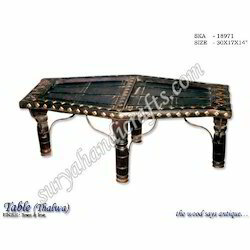 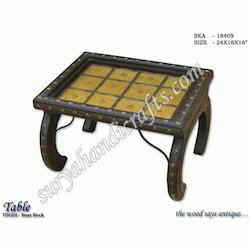 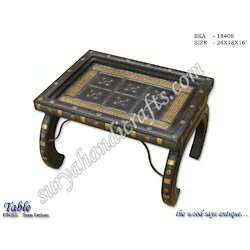 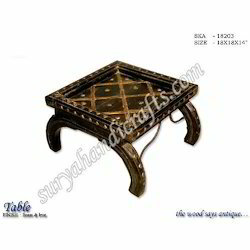 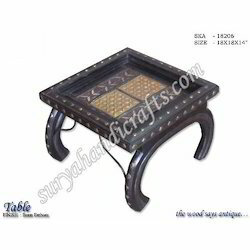 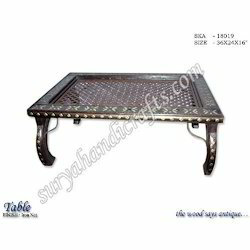 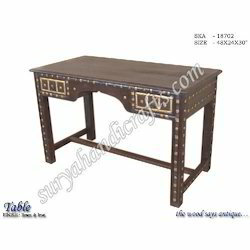 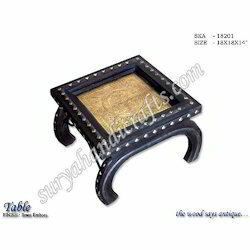 Wooden Table with Brass and Iron Work offered is made available in size of 36x24x16 inches and bears rich use of brass metal antique designs that enhance its overall look and finish standards. 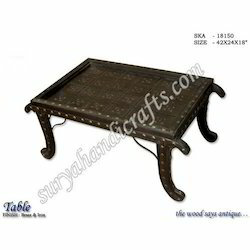 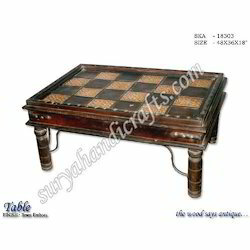 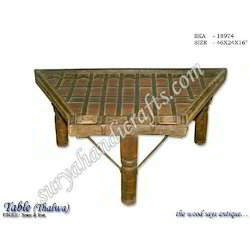 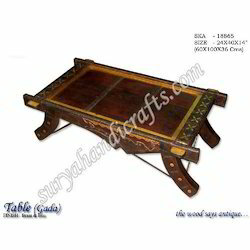 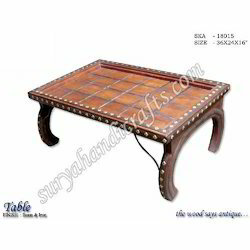 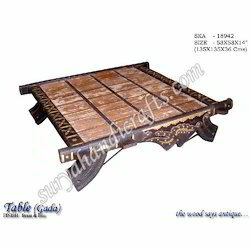 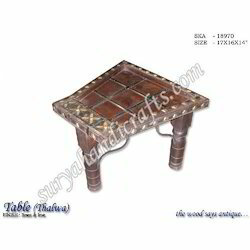 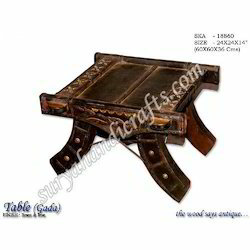 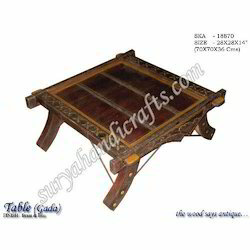 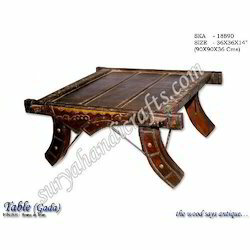 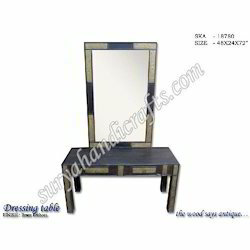 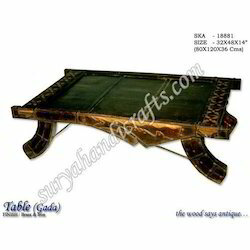 Further, the use of seasoned termite treated wood also makes these tables long lasting in usage. 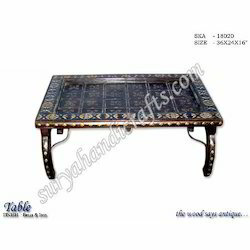 Some of its features include perfect handcrafted finish, matching up to the antique tastes of customers, help in enhancing the interior décor value, choice of different wood color polishing options, featuring innovative combination of brass metal designs among others.